haven’t gotten the chance to yet! available to help via chat (under Contact Us) and appointment !! Can you access other library databases? If this problem is only affecting OVID, then continue with the suggestions below. Can you access other websites (e.g. Google)? If there is no problem with your web access, please continue to the next suggestion. Clear your browser cookies and cache (browser history). After you have cleared the cookies and browser history, try to connect to OVID again. If you are unsure how to clear your browser cache or cookies, please call the Help Desk at 815-836-5950. Firefox and Google Chrome are usually the most reliable, but some databases may have specific browser requirements. If none of these solve the issue, please contact the Lewis University Library to report the problem. We are available to help via chat (under Contact Us) and appointment as well as email and phone. Research Guide of the Week! In keeping with Lasallian Heritage month, did you know there is a research guide that is dedicated to the Lasallian Collection that the library has to offer? The Lasallian Collection at Lewis University contains information about the history of the Brothers of the Christian Schools, from its beginnings in the 17th century to the present day. The Lasallian Collection at Lewis University is located on the main 1st floor of the library on the east wall near the large glass window. Various types of materials in this collection include biographies of St. John Baptist de la Salle, select biographies of brothers from the time of the Founder in 17th Century France to the current day, Institute documents, books and articles and pamphlets written by brothers, materials on Lasallian pedagogy, publications from various USA provinces, financial and statistical reports, books on Lasallian spirituality and prayer, and several videos on Lasallian themes. Items within the Lasallian Collection are non-circulating. However, with the assistance of library staff, certain items may be photocopied or scanned. Items on Lasallian themes within the regular Lewis Library collection may be checked out in the usual way. Brother David Kuebler, our very own reference librarian, is the key person to ask if you have any questions pertaining to the Christian Brothers or Lasallian Heritage. And as always, if you need any support in your research assignment, feel free to make an appointment or reach out via chat (under Contact Us). If you need additional help using any of these databases, we are available to help via chat (under Contact Us) and appointment!! What’s black and white and read all over? Newspapers!! Did you know the library has a huge assortment of periodicals (Newspapers, Journals, & Magazines) that we subscribe to both in print and online? Sometimes it can be really beneficial to physically flip through a resource such as a current newspaper or science magazine/journal in order to gain ideas for an assignment. Maybe the assignment itself is to find a newspaper or magazine article on a certain topic, or you could see what is new in the world which can give you an idea for paper or project. There is a whole section of periodicals in the library on the 1st floor that you can find the latest editions of printed newspapers, journals, magazines, graphic novels, and comics! If you can’t find the section or something specific, feel free to ask and we would LOVE to show you! There are current, local newspapers in the front of the library near the elevator that you are able to look at as well. We also get access online to several newspapers which you can find a list of HERE. The cool thing about this list is you can find historic articles from the Chicago Tribune, The New York Times, or The Wall Street Journal dating all the way back to the late 1800’s! As always, don’t hesitate to chat (under Contact Us) or make an appointment for one-on-one help with your research assignments. TOO MANY ARTICLES, TOO LITTLE TIME!!!! 2 A. 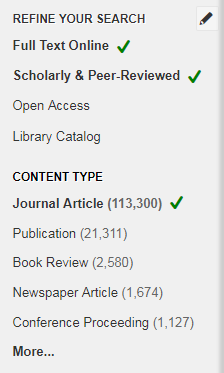 On the left side of the screen, refine your search to include only articles that are available in full text online to eliminate frustration of not being able to access an article you need, when you need it. B. Click the second box if you need Scholarly, Peer-Reviewed articles for your research. 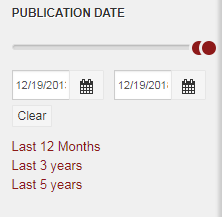 4 Change the publication date range as you see fit or as required by the assignment. 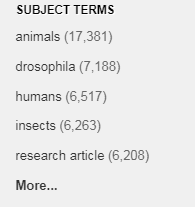 5 If you still have too many results, you can further refine your search by selecting specific subject terms that cover your topic. Click “more” to see all of the options available. ✰Tip: Select only one subject term to narrow the topic initially, then select “more” again if you still need to refine the results. This will give you the narrower results you expect. These tips are a good start in narrowing down your initial results. You can use alternate search terms (key words) as well in order to vary the results you find. As always, don’t hesitate to chat or make an appointment for help with your research assignments. The Educator’s Edition of Explora highlights content relevant to teachers, including lessons plans, curriculum standards, and other professional development resources. It is affiliated with Ebscohost and searches multiple databases within the field of education. 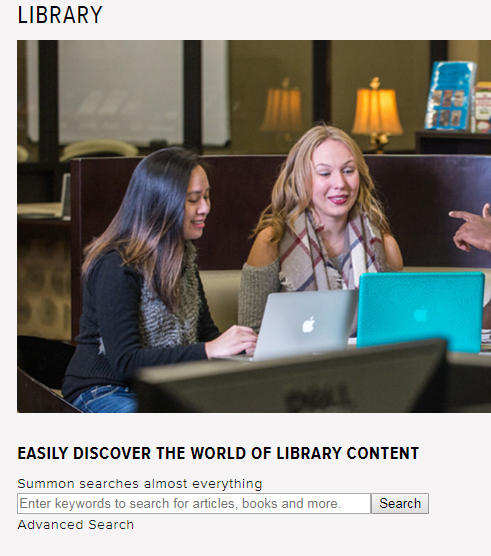 This is a great tool for Education majors, so check it out through going to the E’s in Library Databases A-Z. As always, if you need additional research help, don’t hesitate to chat or make an appointment! Research guide(s) of the week!! Fly By Video — for DVD’s to watch for fun or for class, you can see lists of movies by genre that we have available to physically rent at the circulation desk. Each user can rent two movies for three days. option for renting some of your textbooks, but we suggest you stop by the research desk or send us a chat on further information on this. Understanding Scholarly Information — Did your professor ask you to only retrieve materials that are “peer-reviewed” or did they use words like “reputable” or “academic”? Are you confused at what this means and why you can’t just use good old Google or Wikipedia? This guide introduces WHY it’s important to use scholarly sources and HOW you can find them. Even if you think you understand, this guide offers easy to understand explanations that may assist you in beginning research on a new topic. 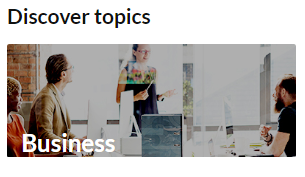 Nexis Uni, the successor of LexisNexis Academic, provides full-text access to over 15,000 news, business, and legal sources. 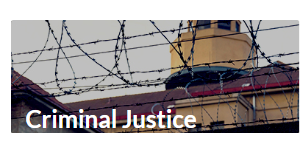 The news coverage includes deep archives and up-to-the-minute stories in national and regional newspapers, wire services, broadcast transcripts, international news, and non-English language news services. Use the Company Dossier module to retrieve detailed company information and financial performance measures or identify and compare companies matching specific criteria. This product also provides access to the Shepard’s Citations service for all federal and state court cases 1789-present. Hello, Flyers! We hope you have been having a great Winter Break so far. We are looking forward to seeing you again next week when the Spring Semester begins. Financial Times: The Financial Times is one of the world’s leading news organisations, recognized internationally for its authority, integrity and accuracy. It is part of Nikkei Inc., which provides a broad range of information, news and services for the global business community. 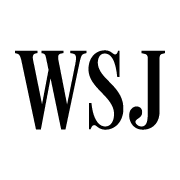 Wall Street Journal: Winner of 37 Pulitzer Prizes for outstanding journalism, The Wall Street Journal includes coverage of U.S. and world news, politics, arts, culture, lifestyle, sports, health and more. It’s a critical resource of curated content in print, online and mobile apps, complete with breaking news streams, interactive features, video, online columns and blogs. Since 1889, readers have trusted the Journal for accurate, objective information to fuel their decisions as well as enlighten, educate and inspire them. Safari: Access more than 40,000 books, videos, tutorials, case studies, and learning paths in the areas of business, computer science, engineering, mathematics, digital media, design, leadership, and more. Nexis Uni: Nexis Uni, the successor of LexisNexis Academic, provides full-text access to over 15,000 news, business, and legal sources. 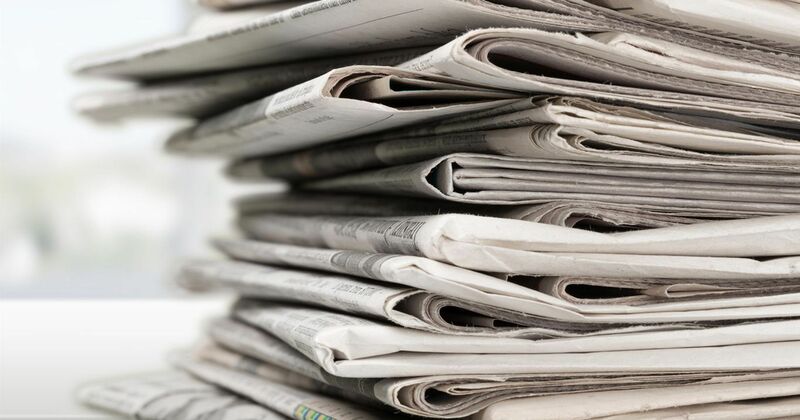 The news coverage includes deep archives and up-to-the-minute stories in national and regional newspapers, wire services, broadcast transcripts, international news, and non-English language news services. …And so much more! If you have any questions about any of these awesome electronic resources, please let us know!